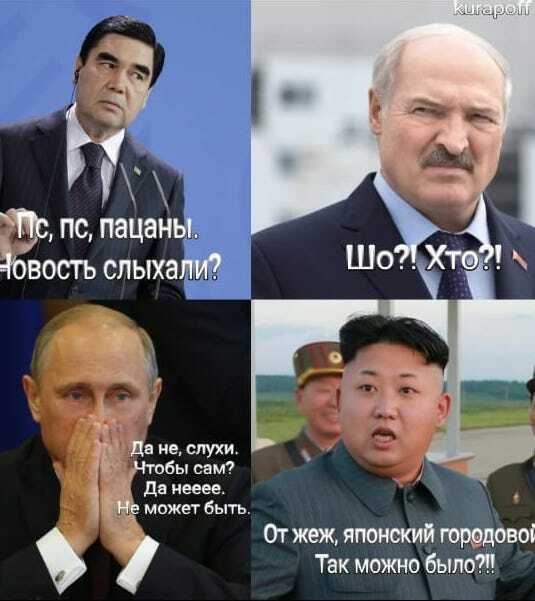 The reaction of social media users to the surprise resignation of Kazakhstan’s president has covered the whole gamut from shock to joy and solemn tribute to cynical joke-cracking. Astana resident Yuliana Zhikhor said she sees the departure of Nursultan Nazarbayev as the end of era. “He is the builder of our state. Strong, recognized all over the world and untroubled by civil (or any other) conflict. Thank you Elbasy,” Zhikhor wrote on Facebook, referring to the lifetime honorific meaning “Leader of the Nation” that endows Nazarbayev with considerable influence. There was anxiety about the future as some struggled to understand what this unprecedented political event might mean. “Should I withdraw all my money from [my] bank card?” he thought to himself. Almaty resident Svetlana Khan was just as confused. “You don’t even know whether this is a good or a bad thing,” she wrote. The disbelievers were out in force too. Nazarbayev has, after all, been in power for three decades. And his imminent departure from office has been predicted so often that like the villagers in the fable about the boy who cried wolf, many were understandably incredulous at first. “Is this true? Maybe this is a dream? Or maybe it is reality,” wrote Yerlan Dekelbayev, who in his youth participated in the Almaty anti-Soviet riots of December 1986. Truth be told, however, the sheer volume of joyful reactions was startling and may be worrying news for those would seek to ride off the coattails of Nazarbayev’s legacy. “If I become president, I promise to move Independence Day from December 16 to March 19,” he joked. Commenters under the Facebook post then posted their own glasses and exchanged messages of congratulation. Public relations worker Samat Dzhamayev said his messenger was filling up with expressions of overbrimming emotion. “This is first time the people of Kazakhstan have been so happy. People are congratulating one another. How could they have driven people to the point that there would be this reaction?” he wrote. It is, of course, dangerous to read too much into this. People feel always feel more emboldened to be mischievous on the internet. 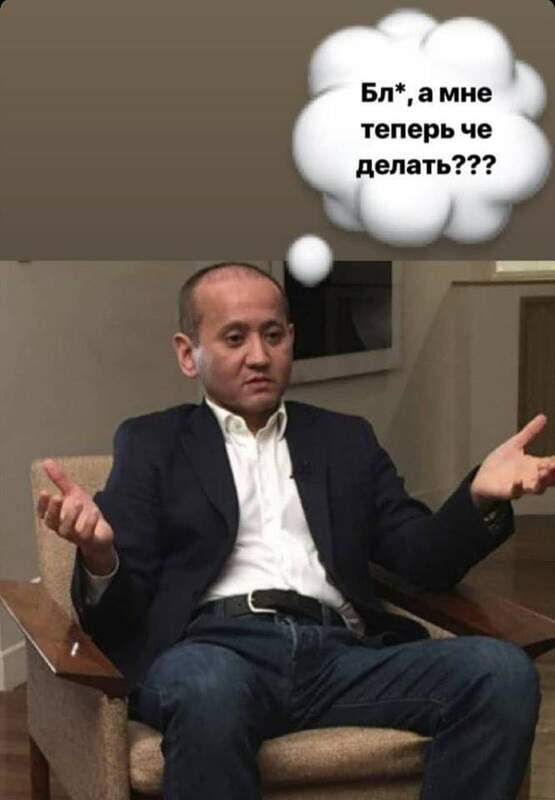 Still, as blogger Arman Daniel mused, you have to wonder how this squares with Nazarbayev’s performance in the 2015 election, when he is supposed to have won 97.7 percent of the vote. Pundits, meanwhile, played it cool, explaining to their followers that this really all means nothing at all. Anybody awaiting change should expect disappointment, he added sourly. Almas Sadykov likewise argued that the system was not changing materially. The resignation performance was just that — a good show, he said. Galym Ageleuov, who has been on the frontline of rights activism for many years, was similarly sanguine. Large numbers chose to process the shock and joy through humor. Berdymukhamedov: Hey hey, fellas, have you heard the news? Putin: No way! Rumors! Himself? No way, couldn’t be. Kim: Oh fudge, that’s allowed? New jokes are already doing the rounds. 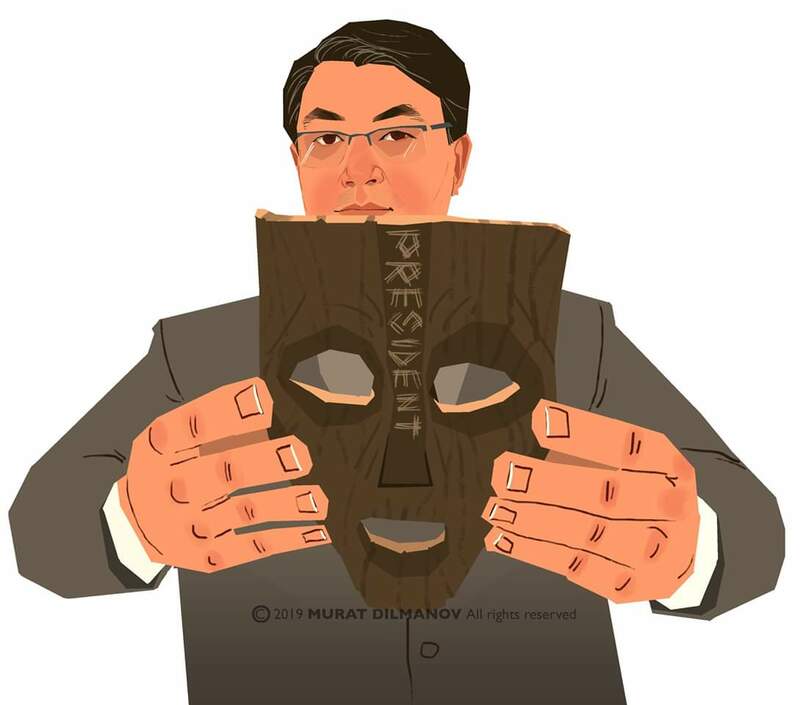 One dwells on the commonly held impression that Nazarbayev’s interim successor, Kassym-Jomart Tokayev, who is required by his post as chairman of the Senate to take over, will just be a figurehead while the outgoing president pulls the strings from behind the scenes. Nazarbayev gives Tokayev a new car, but it doesn’t have a steering wheel. A Facebook user going by pseudonym Alois Onomatolog joked that Nazarbayev would never really be able to leave his people. And what political event could come and go without the proliferation of memes. 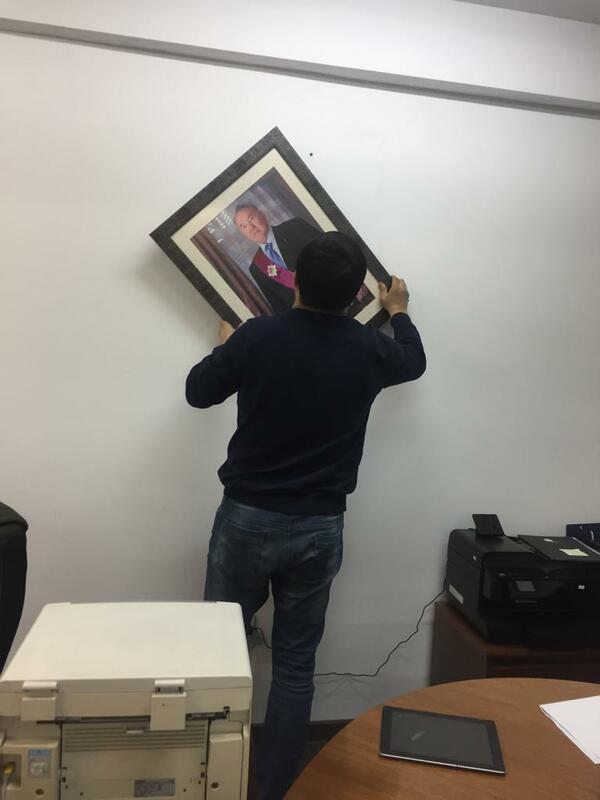 The idea of a president leaving the scene is considered pretty standard in Kyrgyzstan, which has seen a whopping five presidents since independence (two of those presidents were overthrown, but still…). The responses duly arrived, but were not wholly encouraging. One suggested Kazakhs should “pray that the next one is not even worse.” Another said they could “wait five years and try again” — a reference to the lapse of time between Kyrgyzstan’s revolutions in 2005 and 2010. The posts and tweets kept up through the night and into the next day. And they can be expected to continue many more days yet. 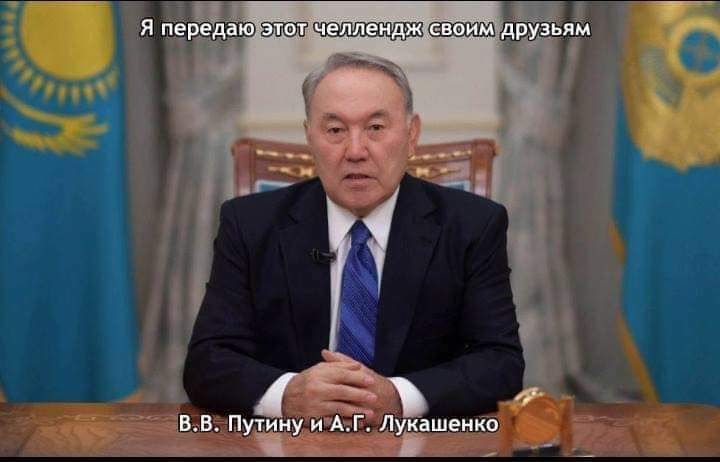 Quirky decisions like Tokayev’s sycophantic announcement that the capital, Astana, would soon be renamed Nursultan is only but more grist to the mill. It will take longer perhaps for this all to sink in, as Astana Twitter user @champagne8th reflected.